Current clinical treatment after tendon repairs often includes prescribing NSAIDs to limit pain and inflammation. The negative influence of NSAIDs on bone repair is well documented, but their effects on tendon healing are less clear. While NSAIDs may be detrimental to early tendon healing, some evidence suggests that they may improve healing if administered later in the repair process. We asked whether the biomechanical and histologic effects of systemic ibuprofen administration on tendon healing are influenced by either immediate or delayed drug administration. After bilateral supraspinatus detachment and repair surgeries, rats were divided into groups and given ibuprofen orally for either Days 0 to 7 (early) or Days 8 to 14 (delayed) after surgery; a control group did not receive ibuprofen. Healing was evaluated at 1, 2, and 4 weeks postsurgery through biomechanical testing and histologic assessment. Biomechanical evaluation resulted in decreased stiffness and modulus at 4 weeks postsurgery for early ibuprofen delivery (mean ± SD [95% CI]: 10.8 ± 6.4 N/mm [6.7–14.8] and 8.9 ± 5.9 MPa [5.4–12.3]) when compared to control repair (20.4 ± 8.6 N/mm [16.3–24.5] and 15.7 ± 7.5 MPa [12.3–19.2]) (p = 0.003 and 0.013); however, there were no differences between the delayed ibuprofen group (18.1 ± 7.4 N/mm [14.2–22.1] and 11.5 ± 5.6 MPa [8.2–14.9]) and the control group. Histology confirmed mechanical results with reduced fiber reorganization over time in the early ibuprofen group. Early administration of ibuprofen in the postoperative period was detrimental to tendon healing, while delayed administration did not affect tendon healing. Historically, clinicians have often prescribed ibuprofen after tendon repair, but this study suggests that the timing of ibuprofen administration is critical to adequate tendon healing. 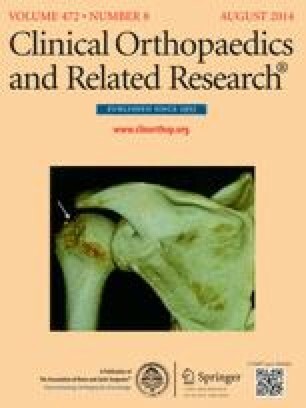 This research necessitates future clinical studies investigating the use of ibuprofen for pain control after rotator cuff repair and other tendon injuries. The institution of one or more of the authors (BKC, SMY, JJT, ACC, CNR, RLM, LJS) has received, during the study period, funding from the Penn Center for Musculoskeletal Disorders (Philadelphia, PA, USA) (NIH Grant P30 AR050950) and the NIH (Bethesda, MD, USA) (NIH Training Grant T32 AR007132). One of the authors certifies that she (SMY), or a member of her immediate family, has received or may receive, during the study period, funding from the Orthopaedic Research and Education Foundation (Rosemont, IL, USA) (OREF Resident Clinician Scientist Training Grant 12-027). Each author certifies that he or she, or a member of his or her immediate family, has no funding or commercial associations (eg, consultancies, stock ownership, equity interest, patent/licensing arrangements, etc) that might pose a conflict of interest in connection with the submitted article. Each author certifies that his or her institution approved the animal protocol for this investigation and that all investigations were conducted in conformity with ethical principles of research. This work was performed in the McKay Orthopaedic Research Laboratory at the University of Pennsylvania, Philadelphia, PA, USA.